Despite numerous pleas from his field commanders, Hitler insisted that the main thrust of the Ardennes offensive not be diminished just to shore up the flanks. This General Brandenberger’s 7th Army, charged with protecting the southern flank as the panzers advanced in the center, contained only one Fallschirmjager division and three Volksgrenadier divisions. The 352nd Volksgrenadier Division lacked training, veteran non-coms, or motorized transport. 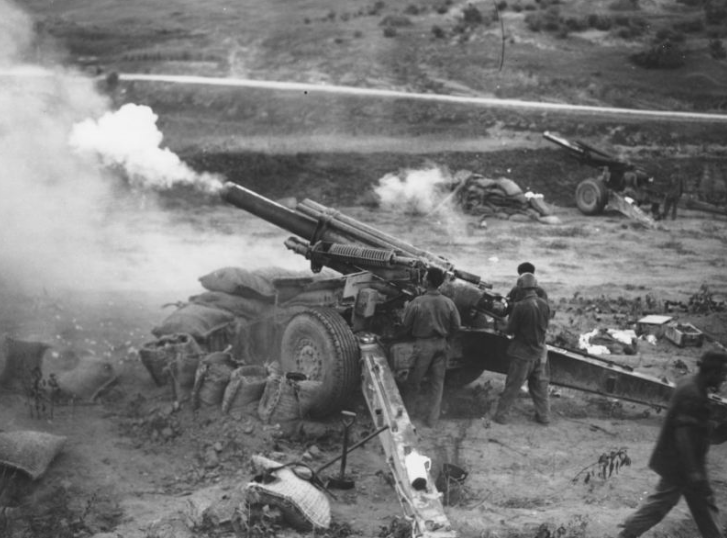 On December 16th it crossed the Our River in front of the US 109th Infantry Regiment and two field artillery battalions situated on Skyline Drive. . .
2018-12-11 (D) Scott Fischbein vs Clark Traviglini In progress My meager Americans melted quickly under the German onslaught, and after malfing/disabling one of my guns, things were looking grim... But a couple of good shots with the remaining guns evened things up, and then the reinforcements arrived... and then we had to call the game on account of time. Fun and interesting scenario that I'd definitely play again sometime. 2018-05-14 (D) Max Malm vs American win German concede after 4th turn due to too heavy losses.